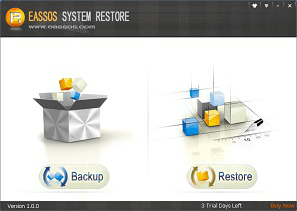 Eassos provides effective data recovery software to help users get back deleted photos, emails, videos, songs, documents, etc. from local hard drive, removable disk, RAW drive, virtual disk and more. Easy-to-use and safe data recovery tool can recover lost, deleted or formatted files, including photos, videos, documents and other 550+ formats files. 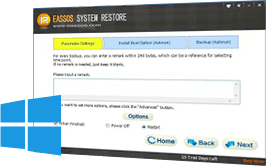 Eassos Recovery Free is the free version containing all features of full version. It allows users to recover 1GB data free of charge. "I've tried many other tools to recover lost files which were deleted a few days ago from Recycle Bin but failed. Your software is great and it recovered all deleted data quickly." Reliable and all-in-one software to recover lost files or partitions from all storage devices, backup data, manage & resize partition, repair bad sectors, etc. PartitionGuru Free is the free version of PartitionGuru Pro. It includes most functions of its Pro version and it is powerful enough to common utilities. "I have partitioned thousands of hard drives for clients over the past 6 years. PartitionGuru is the best tool I've met, as it's easy to use and provides all kinds of functions that are useful for my work." while PartitionGuru will be the most proper decision to computer expert, data recovery professional or technician. All these programs can 1. Recover lost files that are deleted by "Shift + Delete" or emptied from Recycle Bin. 2. 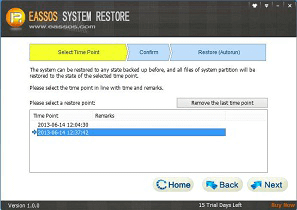 Recover file from RAW, inaccessible or lost partition. 3. 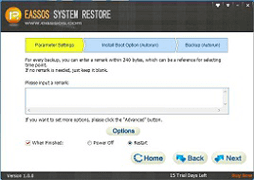 Recover lost data from hard drive, external hard drive, flash drive, SD card, digital camera, server, etc. 4. 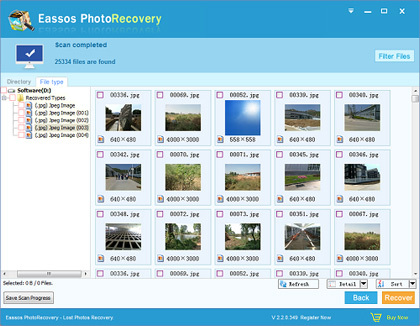 Recovery all types of lost files, including photos, videos, audios, documents and other 600+ formats files. Disk utility features such as resize partition, check bad sectors, clone disk, convert dynamic disk to basic disk, erase data, etc. 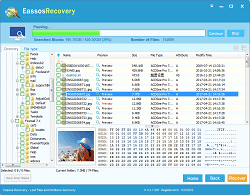 Eassos Android Data Recovery is an excellent data recovery program to get back lost photos, videos, audios, documents, contacts and other files from Android devices including internal memory and SD card. 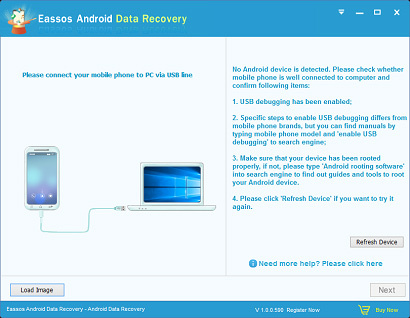 It is an effective tool and compatible with all Android brands, such as Samsung, LG, HTC, Motorola, Sony, etc. Besides, it comes with a user-friendly interface that navigates the entire recovery process. 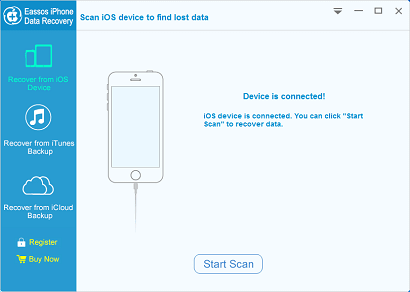 Eassos iPhone Data Recovery is full-featured iOS data recovery software designed for retrieving lost or deleted files from iPhones and other iOS devices such as iPad and iPod touch. It is able to recover various iOS files like contacts, SMS messages, call history, notes, photos and many other file types from iOS devices directly as well as retrieve data from iTunes or iCloud backup. 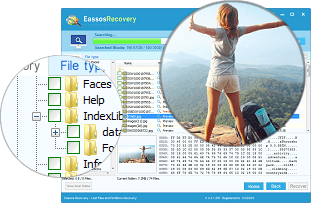 Eassos Photo Recovery is simply do-it-yourself photo recovery software specially made to recover images, photos, pictures and graphics that are lost due to deletion, formatting of storage device or drive corruption. It's able to recover various formats of photos and images such as RAW, PSD, BMP, TIFF/TIF, GIF, JPEG, PNG, CRW, DCR, etc. Improved file preview feature allows you to preview both thumbnail and original files. 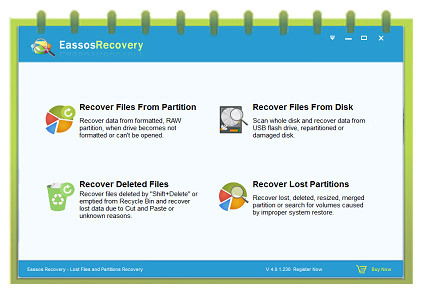 I would like to express sincere gratitude to the developer of Eassos Recovery! It's such an easy data recovery tool for file recovery from emptied Recycle Bin. The amazing thing I found out about the software is its ability of recovering data and directory on different data loss scenarios. With this program I not only restored deleted photos from digital camera but also rescued data from RAW USB flash drive.